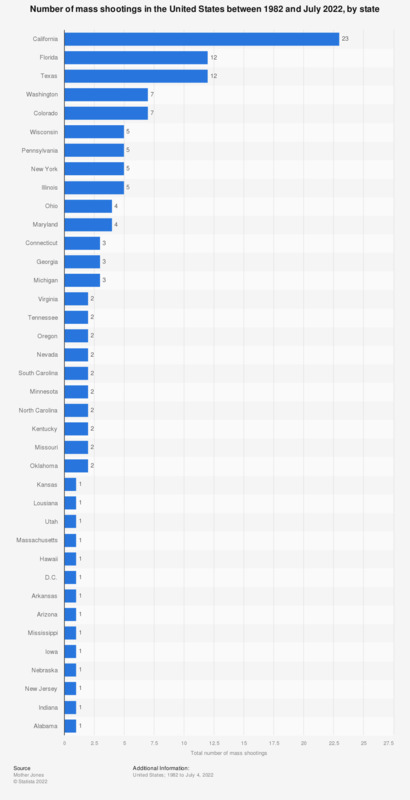 The statistic shows the number of mass shootings in the United States between 1982 and February 15, 2019, by state. 19 mass shootings occurred in California between 1982 and February 15, 2019. Only states where a shooting was reported are shown.